A Celebration of 400 POSTS!! One of the best things that we can do for ourselves is continue to seek education. I never studied for my MBA but I do have a desire for a MBA. I want a MASSIVE BANK ACCOUNT. What I have learned is money can help you serve a lot of people and that is what is important to me. This book was very detailed with facts and figures and it did keep my interest because it showed you the direct correlation to applied knowledge. If you are going to be in business Marketing is key to your survival. They make sure that you understand what happens when you don’t focus on marketing by various case studies. 1.Market research is critical; 2. Use a SWOT chart for everything-identify Strengths, Weakness, Opportunities and Threats; 3. No customers=No business; 4.Remember richness and reach. Reach is the number of people and Richness-the experience with you, your current content, security with payments on your site, and do you customize for them? 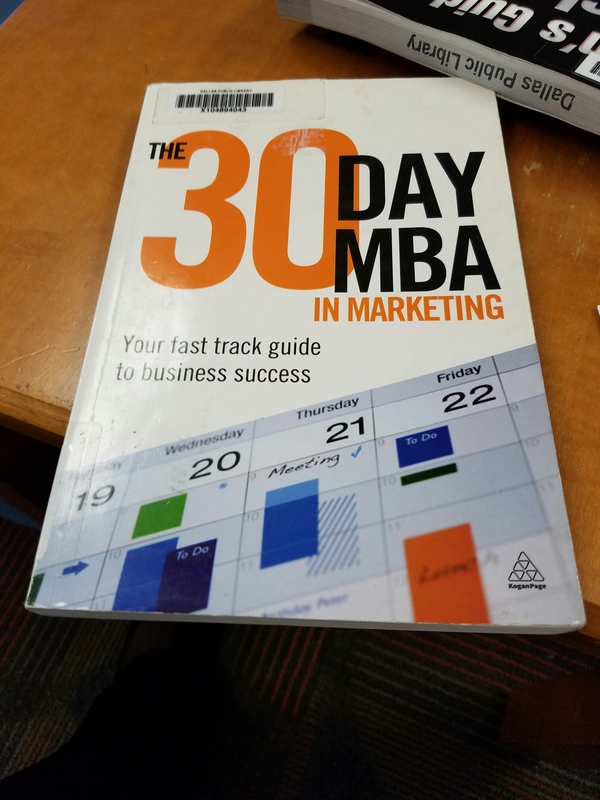 If you want to further your education and DOMINATE in your field, learn about marketing with this book: THE 30 DAY MBA IN MARKETING.